For more than two years, Lyft and Uber have been able to drop off, but not pick up from LAX. That’s until tomorrow when travelers will be able to request a Lyft from Los Angeles International airport (LAX) legally. Lyft is the first ride-hailing service to be approved to pick up passengers from LAX, beating out their primary competitor Uber. 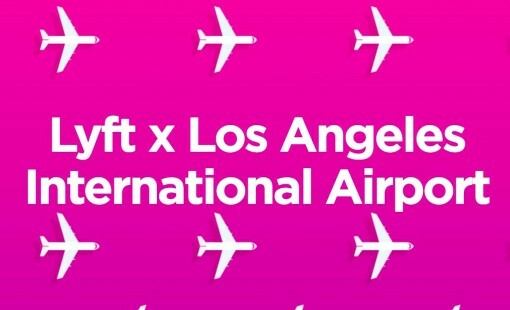 This is an important win for Lyft as the exclusive provider for Los Angeles airport. L.A. is the second-largest city in the United States and having an early advantage is crucial to Lyft playing catch up. You can officially jump into a Lyft carshare from LAX to Universal Studios, the Hollywood sign and all the tanning salons, brunch spots and gay clubs of your liking. 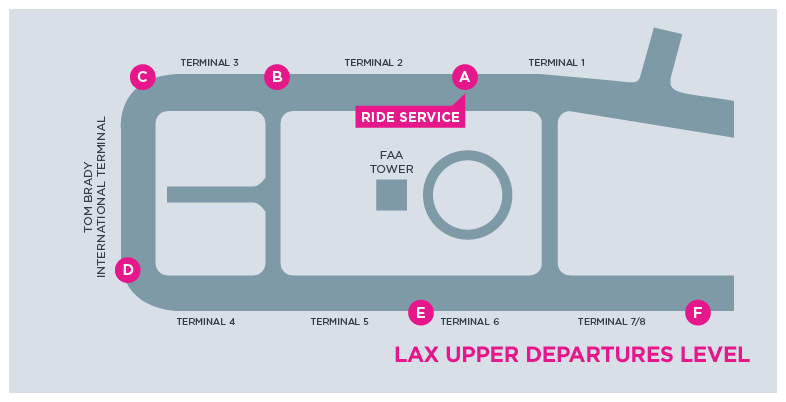 Passengers will be able to hail a ride using Lyft’s smartphone app, then follow signs marked “ride service” to the upper departures level, where drivers will be waiting. …we’re giving everyone $5 off two rides to or from the airport. To get your credit, enter the code below in the ‘Payment’ section of the app. Each code good for $5 off two rides to or from LAX Int’l Airport. Credits must be used by 1/1/2016. I sarcastically typed “special” because this is the same promotion they’ve been running for several months now — not just for LAX, but New York airports JFK and LGA, SFO, Vegas, Chicago and any airport in their service. There’s a better option out there, use the STUART12 code to get $20 off your ride from LAX airport. You don’t need a calculator to know that $20 is more money than five smackers. Use that extra $15 you save on a cleanse or botox. Take a Lyft from LAX to Santa Monica, Hollywood, DTLA, Echo Park, Melrose, Silver Lake and other popular destinations in lala land.